For the first time ever, Gü has launched a selection of luxurious vegan desserts into UK supermarkets. 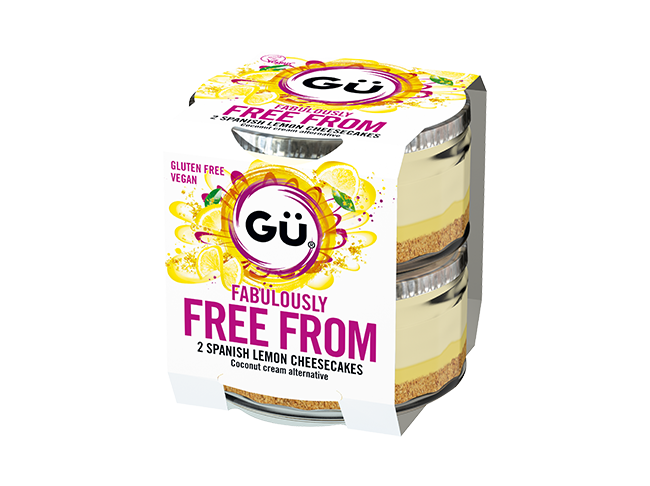 Gü are well-known for their range of indulgent puddings and luxurious desserts which are sold in supermarkets across the UK. until now the company has not offered any vegan products, but it’s about to remedy this with the launch of a brand new range of vegan and gluten-free desserts, priced at £3.50 for a pack of two. The desserts come package in glass ramekins with a foil lid and a cardboard sleeve to make them plastic free, and the ramekins can be reused again to make your own recreations of the desserts at home. 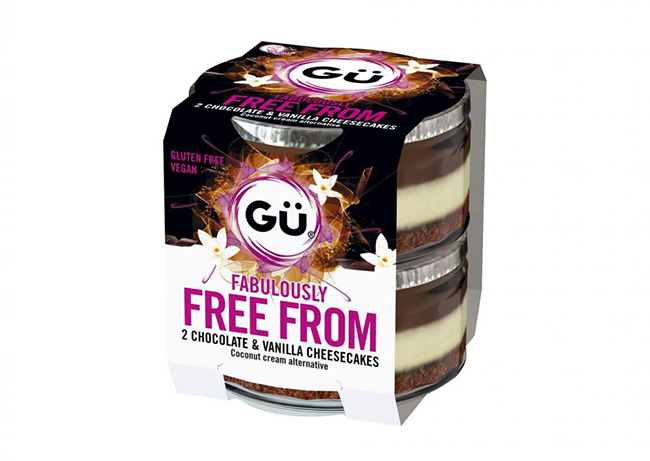 The first of the three new vegans products in Gü’s Fabulously Free From range is the Chocolate & Vanilla Cheesecake which features layers of smooth chocolate coconut ganache and Indonesian coconut cream on a crunchy gluten-free biscuit base to give a delicious mix of textures and flavours. 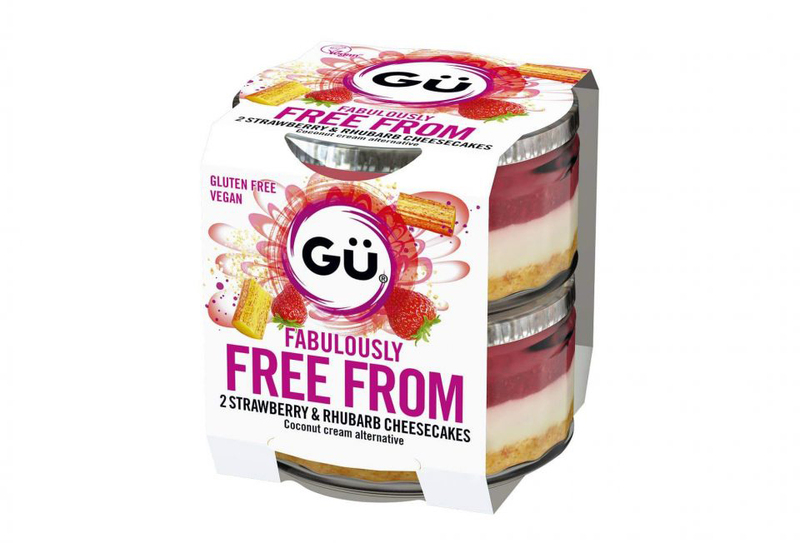 Gü has also released a pudding that perfectly encapsulates the flavours of summer; Strawberry & Rhubarb Cheesecake. This sweet and tangy pudding features a layer of smooth and creamy coconut cream with a luscious strawberry and rhubarb compote. Last but not least is Spanish Lemon Cheesecake which is comprised of luxurious layers of zesty lemon coconut cream and a sharp lemon curd sauce that pairs perfectly with the sweet gluten-free biscuit base. 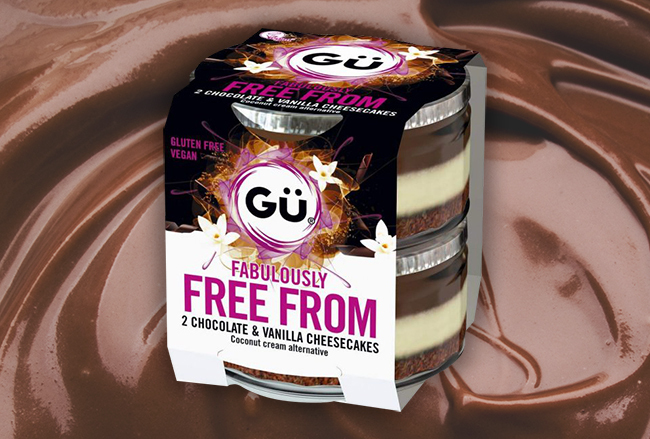 Gü Fabulously Free From puddings are available to purchase in Asda now and will be available to purchase from major supermarkets including Sainsbury’s, Tesco, Waitrose, Morrison’s, Asda and Co-Op as they are rolled-out across the country this March.